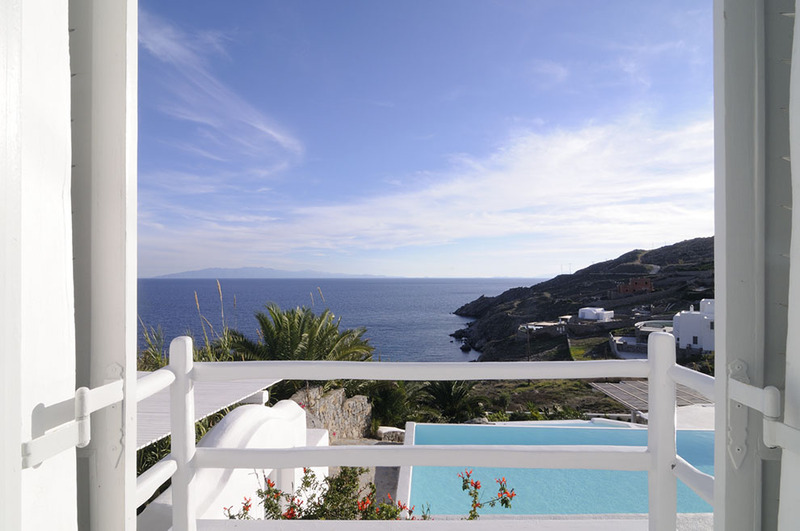 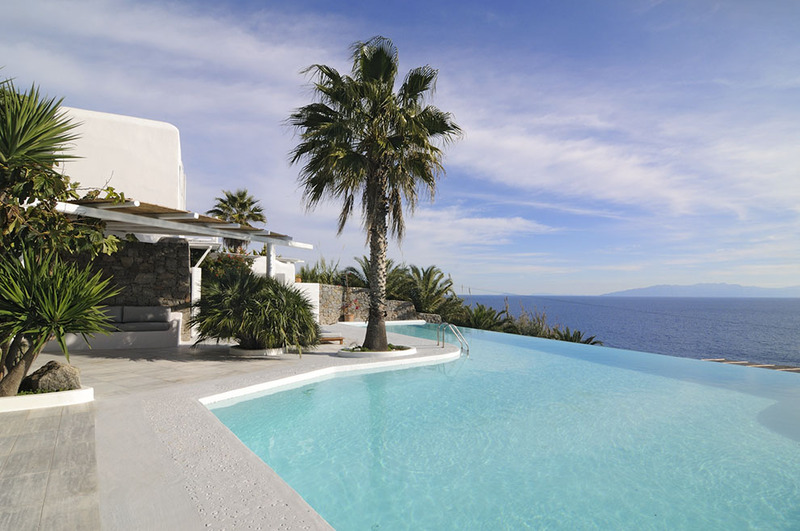 In the south-west of Mykonos in the area of Aleomandra lies the luxurious villa “Blue Reflection” with views across the breathtaking Aegean Sea. 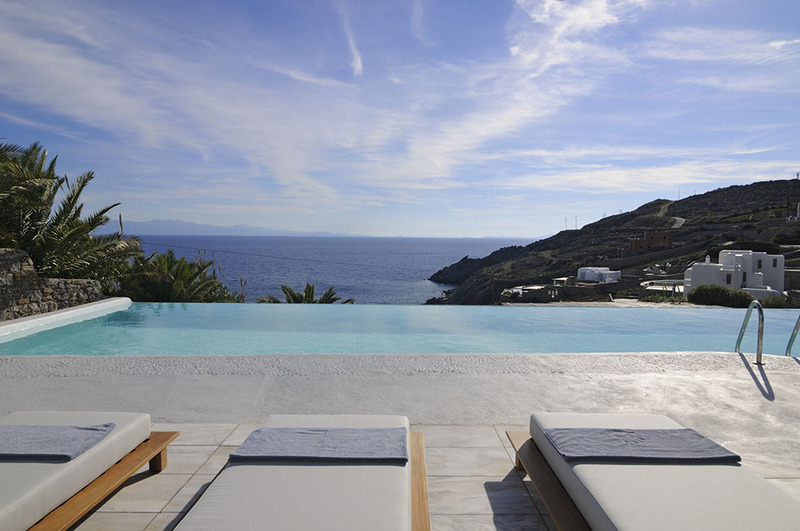 A stone’s throw away is the well-known and peaceful beach of Saint John with the golden sand, famous for its sunsets and the energy emitting from the island of ancient Delos. 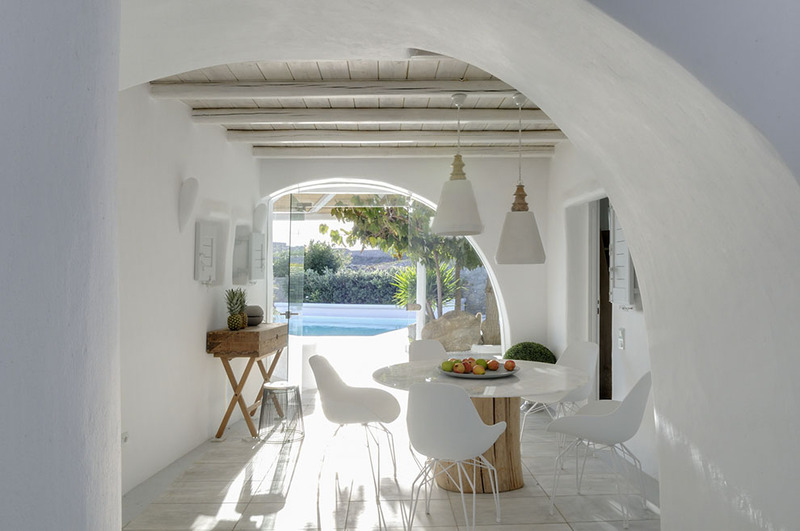 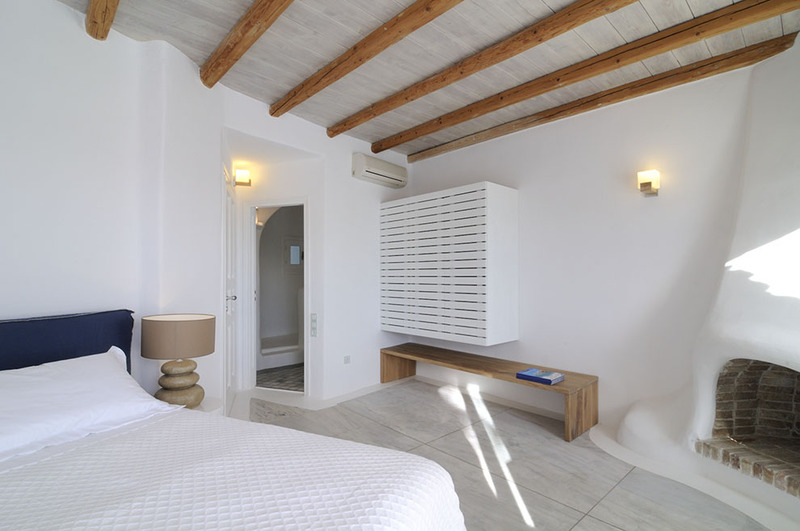 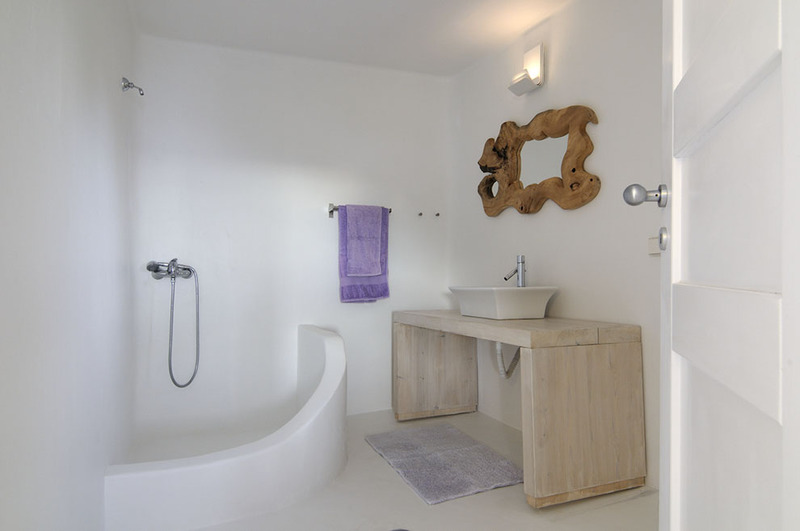 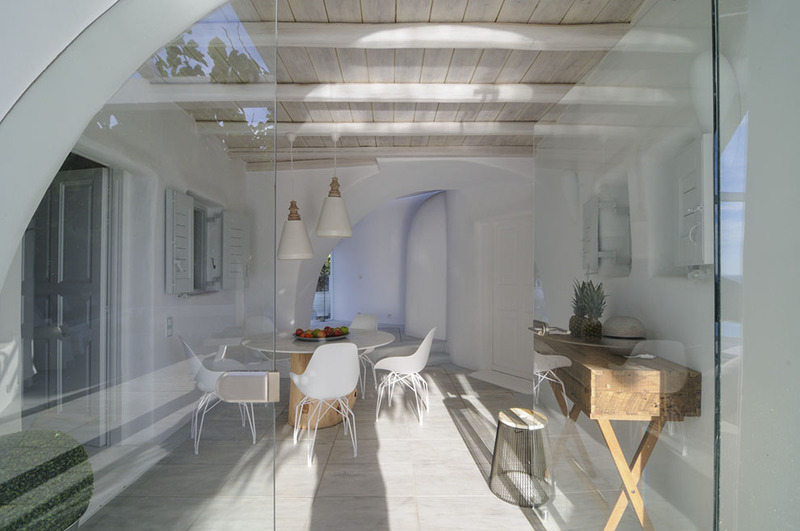 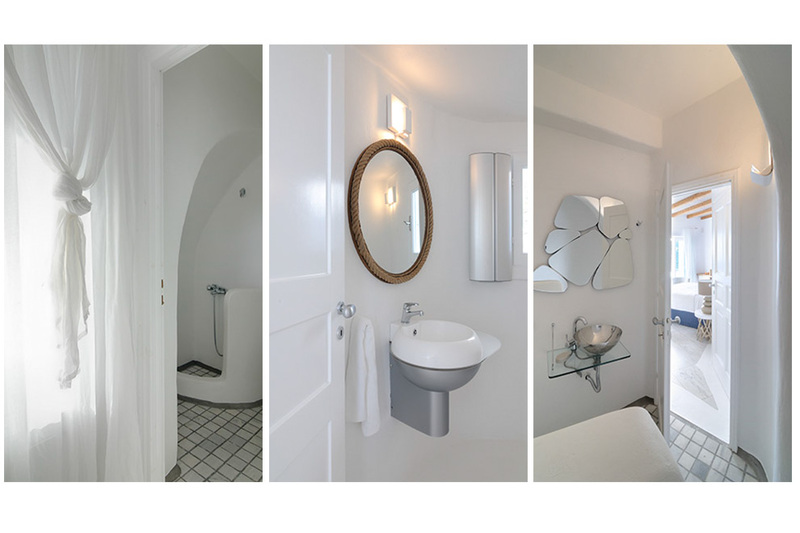 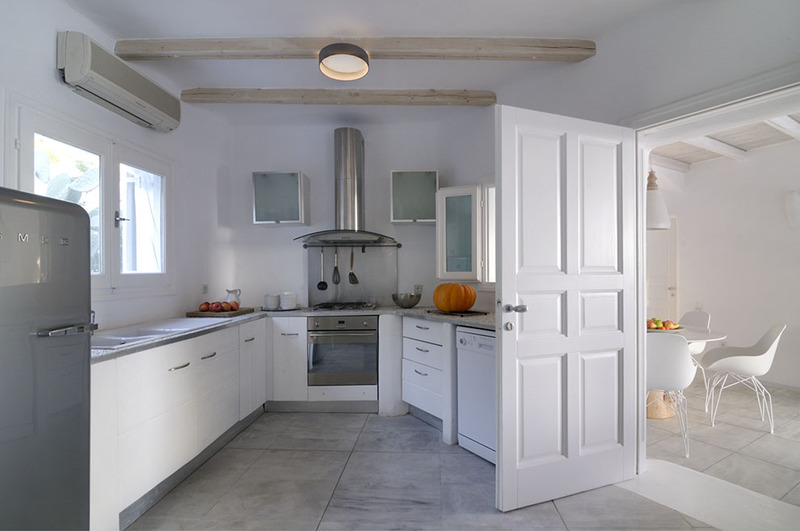 The Cycladic Mykonian architecture inside the villa, in combination with the minimal furnishing, creates an elegant result and an impressive atmosphere. 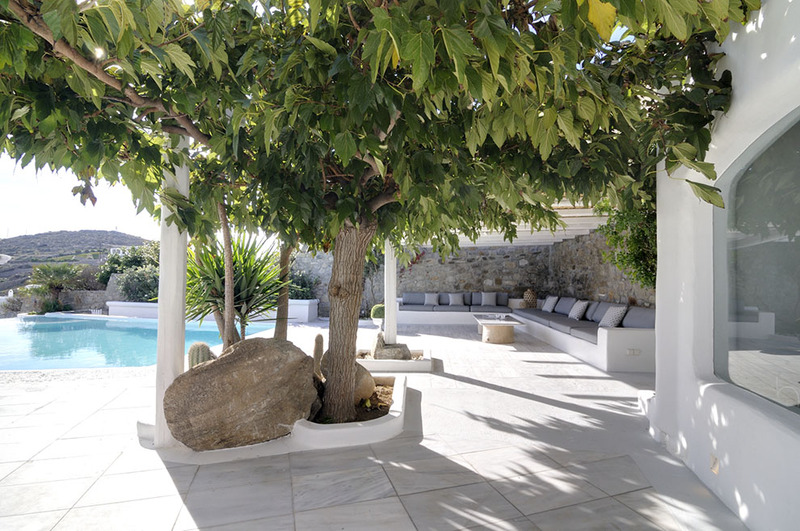 The extraordinary grounds of this villa harmoniously combine the elements of nature with the fully-grown trees encircling the spacious infinity swimming–pool creating thus a heavenly environment. 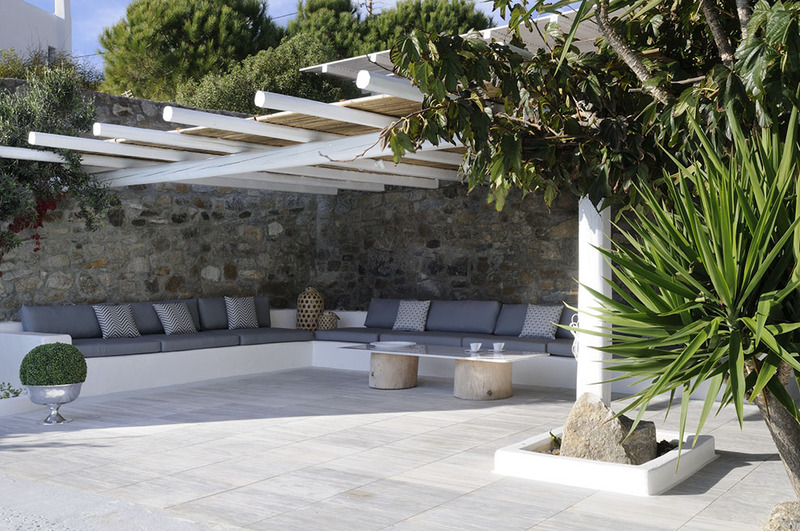 Two sizeable outdoor seating areas along with a dining table are under pergolas which provide splendid shading and embrace the swimming–pool predisposing guests to enjoy the day to the full or to organize a cocktail party in the evening. 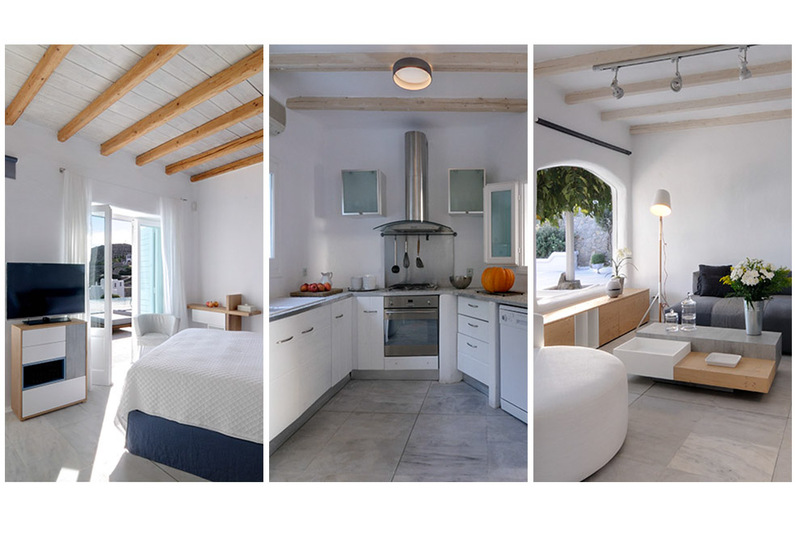 Inside the villa there is an engaging living room with a view, along with an en suite fully-equipped kitchen with direct access to the exquisite grounds. 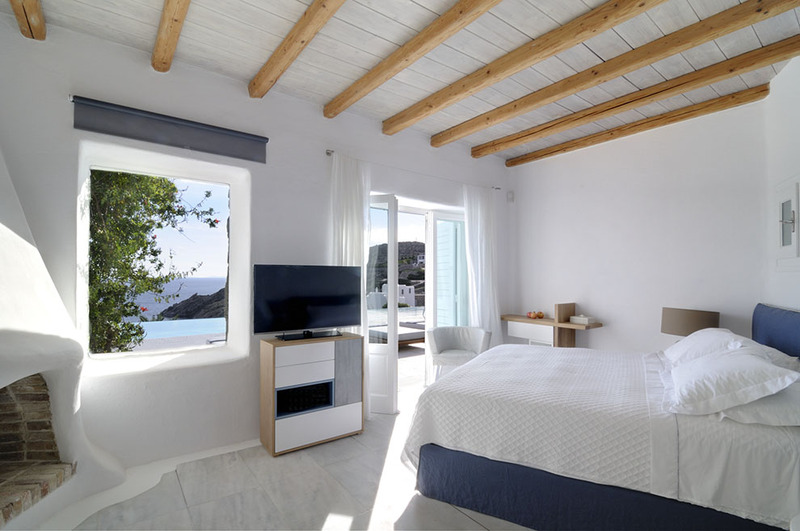 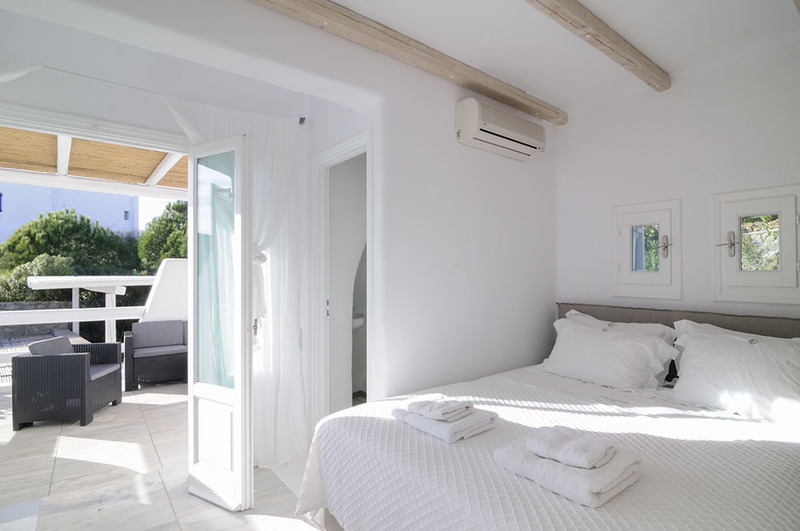 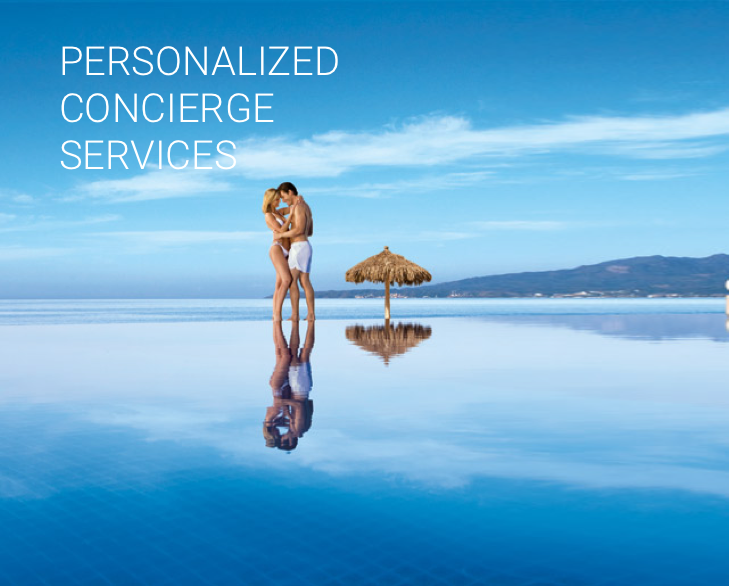 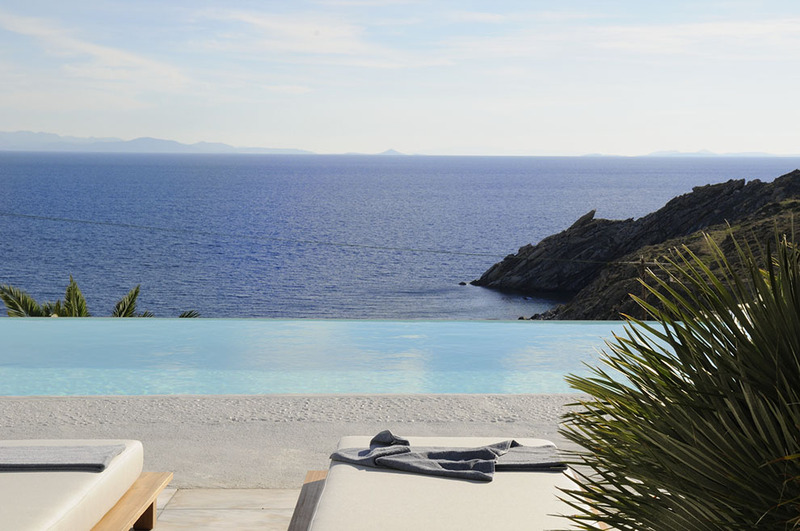 An additional advantage of the villa is found in the layout of the en suite master bedrooms, two of which are on the ground floor while the other two are on the first floor, all of which look over the swimming-pool as well as the endless light blue colour of the sea. 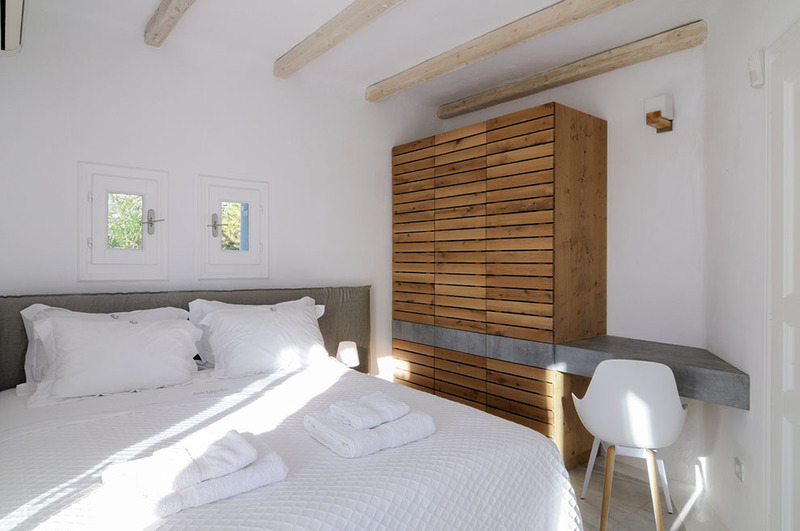 All master bedrooms provide the utmost privacy due to their separate entrances. 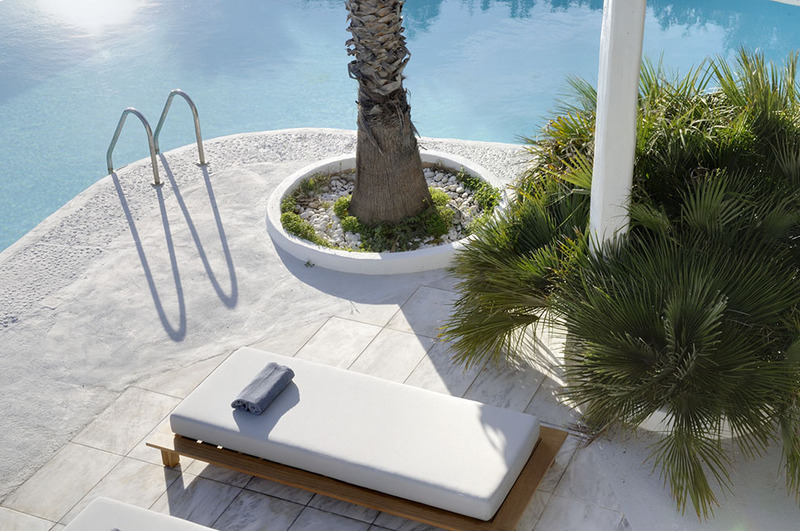 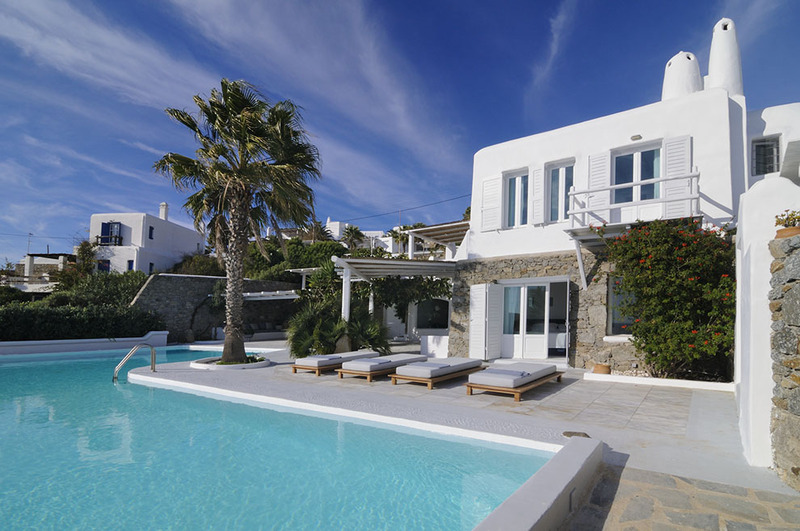 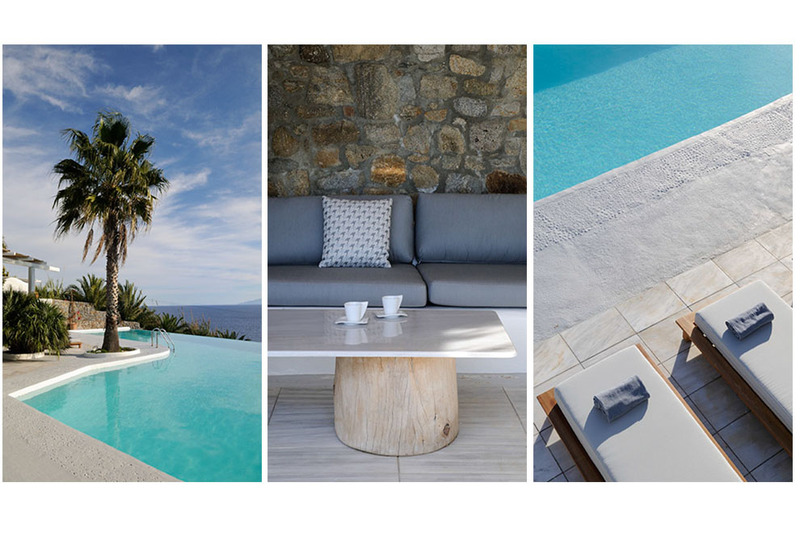 Villa “Blue Reflection” is the perfect choice for those intending to combine privacy with the option of direct access to the sublime Mykonos Town with its picturesque narrow streets and intense cosmopolitan night life. 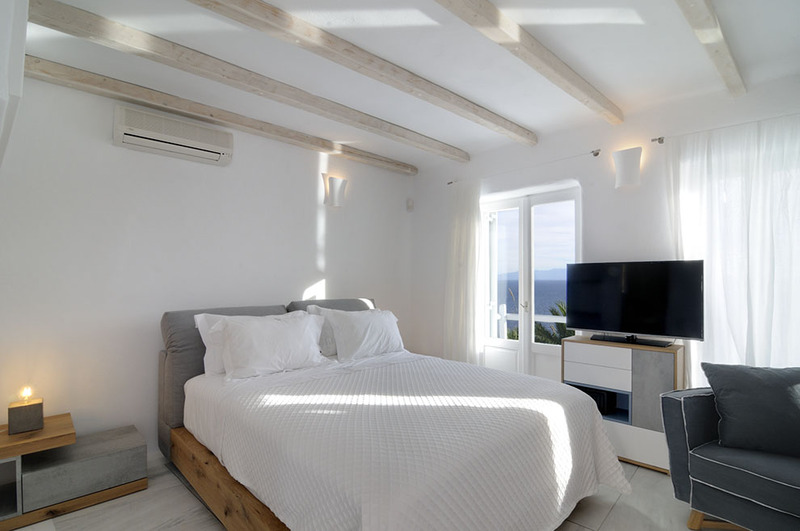 In the case that large groups wish to rent villa “Blue Reflection”, we provide the opportunity to combine it by renting the adjacent property, the luxurious villa “Aegean Touch”.